The well-known music talent show The Voice will be launching on Princess Cruises from October 2015. The show will be called The Voice of the Ocean. Today Princess Cruises announced a new partnership with The Voice, a popular TV reality show where new musical talent is found. The new show at sea will be similar to the TV version including auditions, mentoring and a grand final. Guests 16 years and older can enter the singing competition and by first going through the auditions in one of the ship’s lounges. this will be integrated in the Karaoke sessions onboard where guests can vote through their favorites. The ship’s entertainment staff singers will then mentor the contestants throughout the cruise including rehearsals with the Princess band. On the last night of the cruise there will be a grand final in the main theater where senior personnel from the ship will become coaches. Coaches will turn their “i want you” chairs for who they want in their group. The audience will also be involved by voting for the overall winner out of the nine contestants. 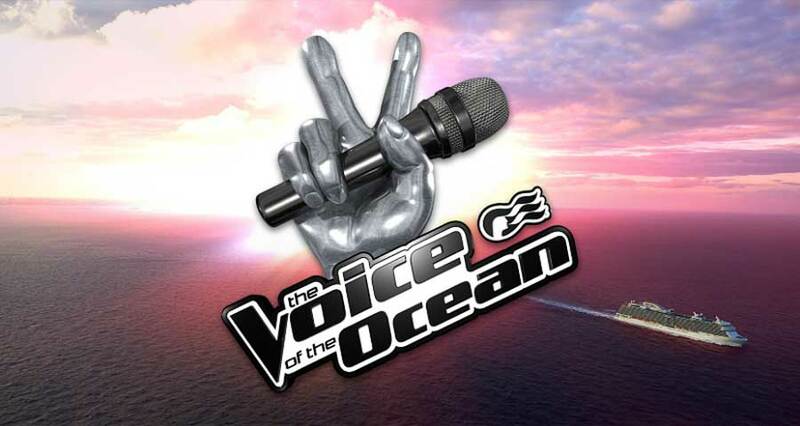 The Voice of the Ocean will be hosted by the one and only cruise director. The first ship to get the new show will be the Regal Princess in October, 2015. The cruise line has revealed that Royal Princess and Caribbean Princess will then get the new show in November. The rest of the fleet will have to wait until January, 2016 which is when the show will begin to rollout until May, 2016.